Scott Bradlee is a jazz pianist charged with his own mission: to have his audience change their perception of well-known pop songs he formerly thought “possessed a less than refined palette”. Bradlee leads the band Postmodern Jukebox, a musical project fulfilling the mission to change the perception of well-known pop songs by bringing them a new flavour. They’ve taken to songs by Miley Cyrus, Lady Gaga, Amy Winehouse, Aerosmith and Nickelback just to name a few. In their latest (and our favourite) project, Guns N Roses’ go-to Sweet Child O’ Mine, Postmodern Jukebox dissect the hard rock song and piece it together as if “New Orleans blues legend Bessie Smith had recorded it back in the '20’s”. 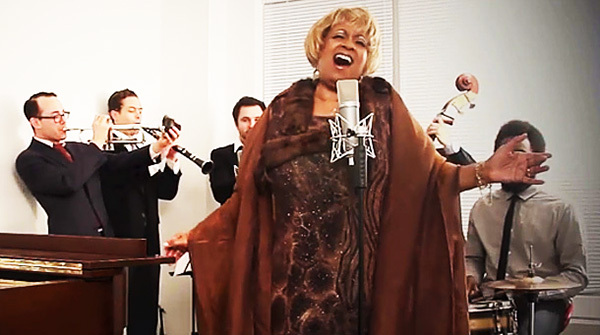 Postmodern Jukebox takes us right back to the roaring 1920’s with this re-worked Gunners’ classic; and with singer Miche Braden at the vocal helm, the lyrics fit the new sound like a glove.